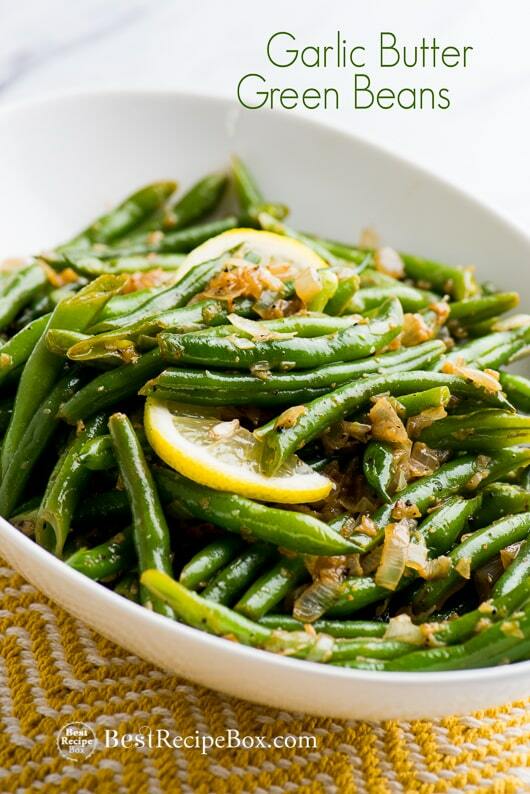 Easy every vegetable dishes should be on the dinner table every night. 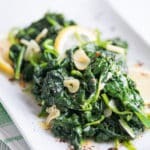 Delicious and simply amazing, our garlic spinach recipe with fresh lemon is an outstanding reason for families to enjoy vegetables more. Eating yummy vegetables is easier with the recipes are simple to make and not complicated. 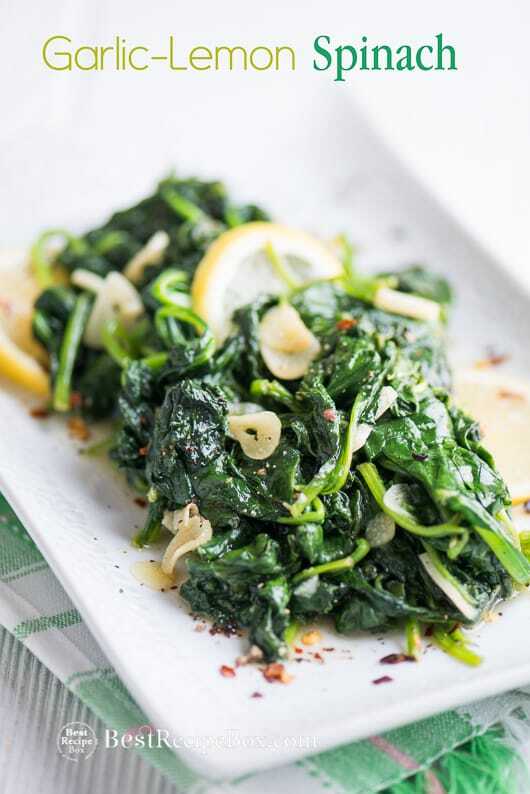 Our garlic spinach recipe can be eaten as the perfect side dish to any meal. 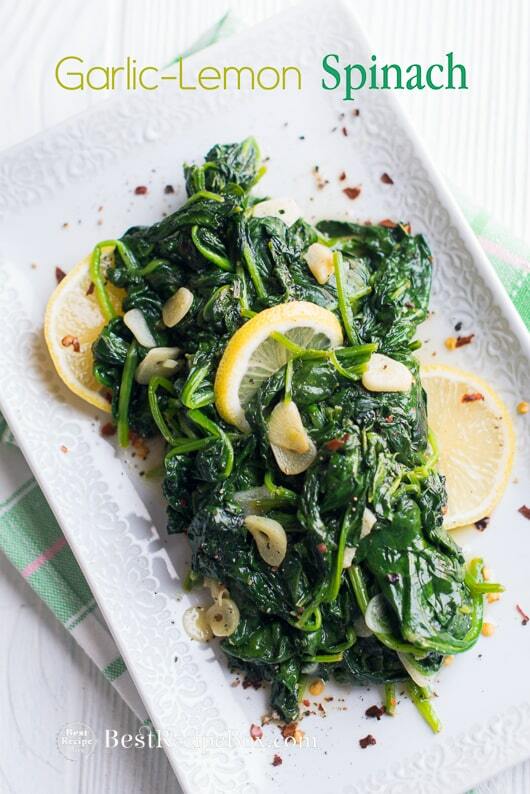 The savory flavors of garlic and bright lemon are a wonderful combination to spinach. Within just a few minutes, you have a healthy spinach recipe for family dinner. That’s why we call it—simply amazing!! 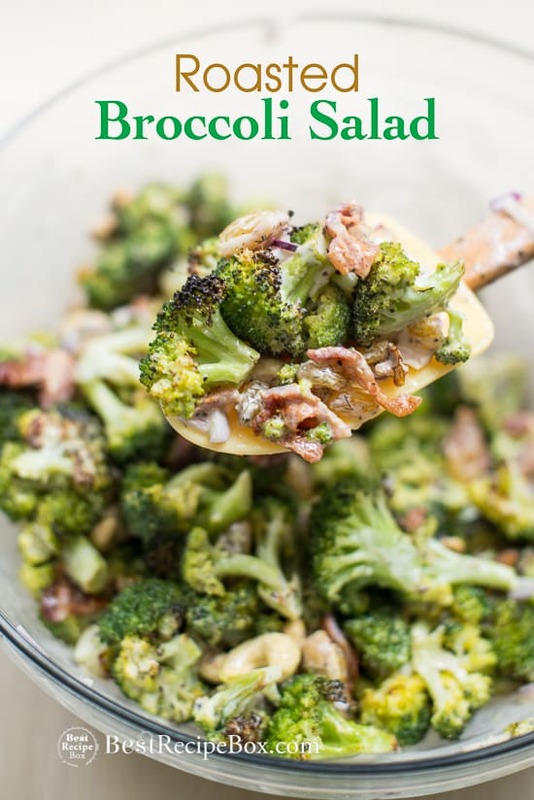 Click Here for more —> Vegetable Recipes and Other Vegetable Recipes. This recipe easily doubles if you want to make extra. The spinach might see like a lot at first when it’s raw, but it cooks down a ton so 2 people can definitely eat a 10 oz bag! Heat large frying pan on medium heat. Add olive oil and garlic. Cook garlic until fragrant and translucent. Add all the spinach (it will shrink and cook down a ton). Gently stir the spinach until it’s all cooked and wilted, but not mushy. Add sea salt and pepper to taste. Add some optional red chili flakes if you want a little heat. Then add the lemon zest and lemon juice. Stir it all into the spinach. That’s it! 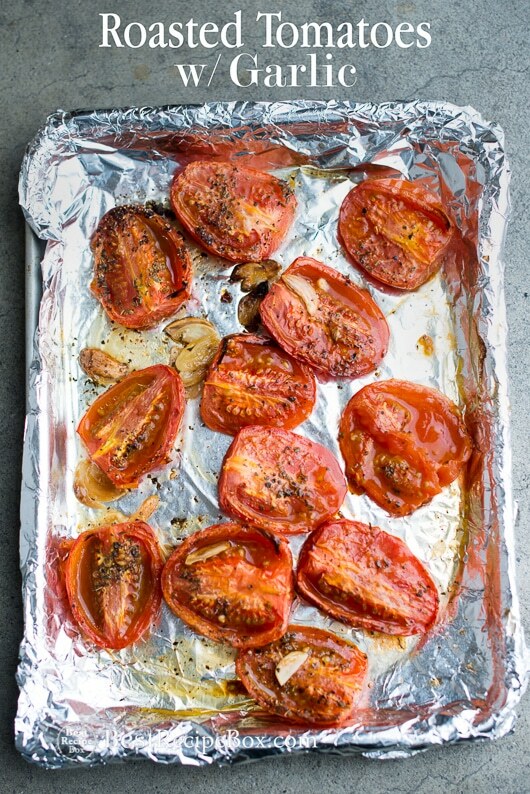 It’s a crazy easy dish we love to eat with meats, seafood cause it’s the perfect veggie side dish.